Nowadays I find more and more dresses get smaller and smaller, not just in width but in length too. I love this dress and had it years but not got much wear out of it as its not the kind of dress I can wear without anything under. I really like this outfit mixing it up with the pops of red with the belt and shoes. Now going to try some of my other dresses with jeans to get some wear out of the too, what do you think? 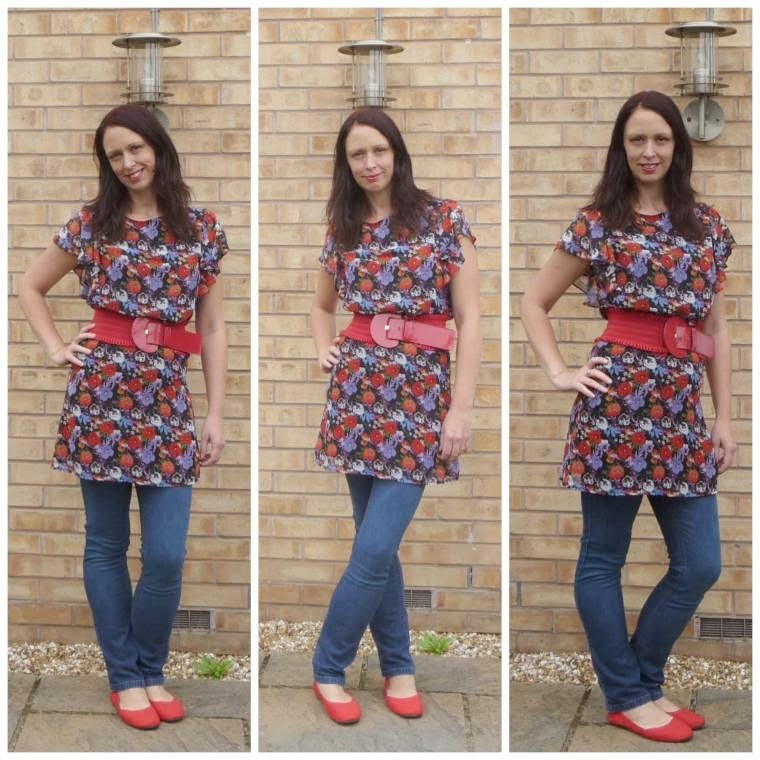 "11/10 Link Up Your Favourite Posts This Week : Welcome To The Weekend Hop …"
That outfit looks great !!! What a good combination !!! You look great. I agree dresses seem very short. I wear mine with jean too especially this time of year. It looks good! I think wearing dresses over jeans would encourage me to wear a lot more dresses! 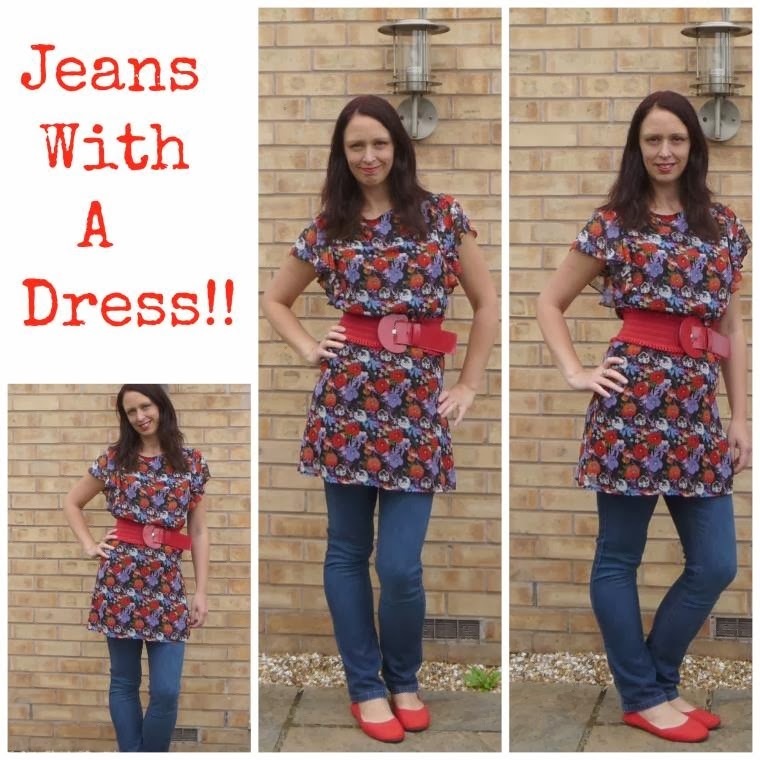 Beautiful dress Claire and it is perfect with the jeans! I am glad you now have a new Chrome net book. You are so right! The dresses are getting shorter! I could have worn them when I was younger, but these days I buy dresses as tunic, and wear the with jeans or leggings! Your dress is pretty, and love the belt you added!